Branding is not a logo, it’s a verb. An action. Thinking about it that way will help you stay clear about what it really means. 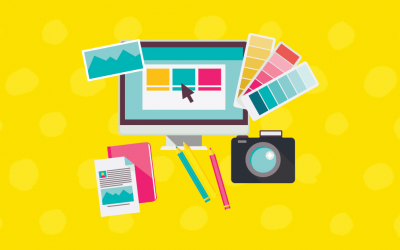 Some people will try to tell you it’s about putting your logo all over everything and sticking to a color palette… but it’s actually everything you do that customers can form an opinion about. As a logo designer, it might seem counterintuitive that I preach “your logo is not your brand” so much. It isn’t that I don’t think it’s important (it is), it’s that I want my clients to use the design process as an opportunity to get super crystal clear about how they’re going to use branding to get visible with the right people—and that takes clearing up more than a few misconceptions. It’s possible to have a gorgeous, award-winning brand identity system (your logo, biz cards, graphics assets) and still disappoint your customers and have a failed business. 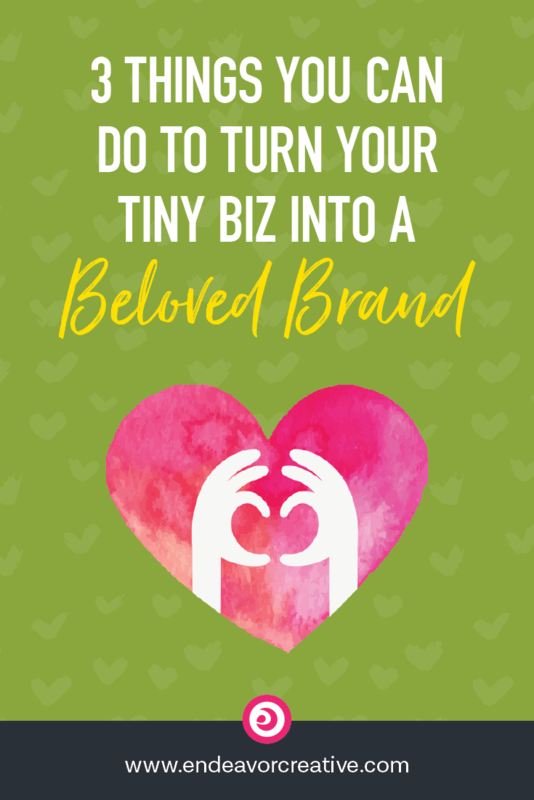 It’s possible to not even have a logo or fancy design and create a business your customers will love so much they’ll tell all their friends about it. Always remember that your brand is largely determined by people’s experiences. It’s emotional. So the goal is not just to have pretty graphics and call it good, it’s to create an experience people will love. I’ve had clients come to me in desperation to help them fix perceptions and broaden their customer base, but when it isn’t combined with a genuine commitment to fixing the underlying problems, it’s like changing the packaging on a turd. It might create a little bump in sales, but eventually, things will go right back to where they were. Meanwhile, their Yelp! page was filled with reviews describing how their food and service had gone downhill, and stories of employees drunk on duty and making scenes and other horrible things. They were losing customers faster than they were gaining them, and any new customers they acquired as a result of their promotional efforts didn’t become loyal or tell their friends. Nobody from the restaurant ever addressed any of the disappointed customers or did a single thing to resolve the underlying issues. If you’re struggling with customer retention or satisfaction, you must focus on fixing that first. But even if you’re not, or if you’re just starting out, being brave enough to ask your customers for feedback is one of the best things you can do. Whether you like it or not, what they tell you is your brand. This will not only help you understand how to create an even better experience, it’ll help you gain clarity about your brand by learning about it from their perspective; this will help you hone and perfect your brand message. How satisfied are you with the communication and responsiveness you received working with me? How satisfied are you with the training and/or guidance you received? How satisfied are you with the final result of your project? How likely are you to refer me to others? What specific area(s) of my service do you feel needs improvement? In what ways might I have made your experience better? What specific ways, if any, have I helped you or helped you solve a problem? Any pleasant or unpleasant surprises? If you’re so inclined, I’d love it if you could write a brief testimonial about your experience. How can we improve retention? 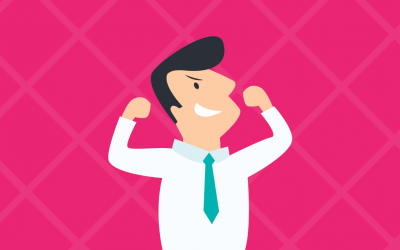 How can we inspire customer loyalty? How can we learn from their experience to improve with the next customer? The only way to know is to ask them. And the good feedback is just as valuable! I’m being pretty doom and gloom about this, but what if you get GREAT feedback? It’s important to know that too because what you assume makes your customers love you might be completely different than what the actual reasons are! And whether they were aware of it or not, they were “branding” an impression on people about what it’s like to work with them. Ain’t no logo in the world gonna fix that y’all! Be mindful of what you share, what you write, and how you speak. People work with other people, not logos. This is not to say that you should never have a controversial opinion or express who you are—you absolutely SHOULD. Nobody likes interacting with robotically-professional people who never let their guard down, express a personal opinion, or allow themselves to appear less than perfect, mere mortals like the rest of us. People dig it when you’re authentic and vulnerable. My point is to just be mindful of it. Make sure that what you share online is in alignment with the brand you wish to create. In the examples above, “customers are not to be trusted” probably isn’t how those people would describe their brand values. What lacks in a lot of our business interactions these days is humanity—we don’t have time for it, we’re all too busy shouting for attention. As a result, people have forgotten good old-fashioned manners: they forget that there are other people on the receiving side of every interaction, no matter how small. You might say “I don’t have time for all that, do you know how much time that would eat up?” If you’ve got so many people engaging with you that you don’t have time for a simple, “Thanks!” then you’re probably doing so well in your business you can hire someone to help you out. Billions of these tiny interactions happen online every day and people don’t expect all that much anymore. And therein lies the opportunity to stand out. Be the person who doesn’t just push one-way messages and ignore what’s coming back to them. Be the person who approaches others with appreciation and respect. Automation tools. If you use them, but you’re not monitoring to see whether there are live human beings engaging with you, you’re just broadcasting. Making noise. And what a pity, because you’re missing a lot of opportunities to create real connections. On the other hand, when you’re a real human and you take a minute to engage, you’ll create an even stronger bond with that person. Recently I read a great book and sent a DM to the author on Twitter to tell her how it inspired me. A couple of weeks went by and no response and it didn’t mean much, that’s how it is these days. (Sometimes it feels like, “Hello?! Is anybody out there! ?” amirite?) Eventually, she got back to me with a brief and sweet message, “That’s so great to hear Taughnee! Here’s to a great 2018!” When I retweet her content, she thanks me. When I recommend her book, she thanks me. My feelings were reinforced that she’s legit, professional, human, authentic. By taking a second to do these things, guess what she’s created? An ally. Had she never gotten back to me at all, I probably wouldn’t have done any of those things. That feeling? That’s her brand. Get it? It’s hard out there to get visibility, so we have to constantly be on the lookout for ways we can do it a little better, a little differently than how everyone else is doing it. Little things matter—empathy, listening, what we say and all of our micro-interactions You become a beloved brand when you care about your customers’ experience and respect the people around you; branding is just demonstrating that in everything you do. In my book, The Client Attraction Mindset, I share all of my “Aha!” moments, paradigm shifts, and exercises that helped me go from invisible to visible by getting to the heart of what makes me different from all of the other options my dream clients are considering. And, to create a real plan into action for consistently attracting clients I love.